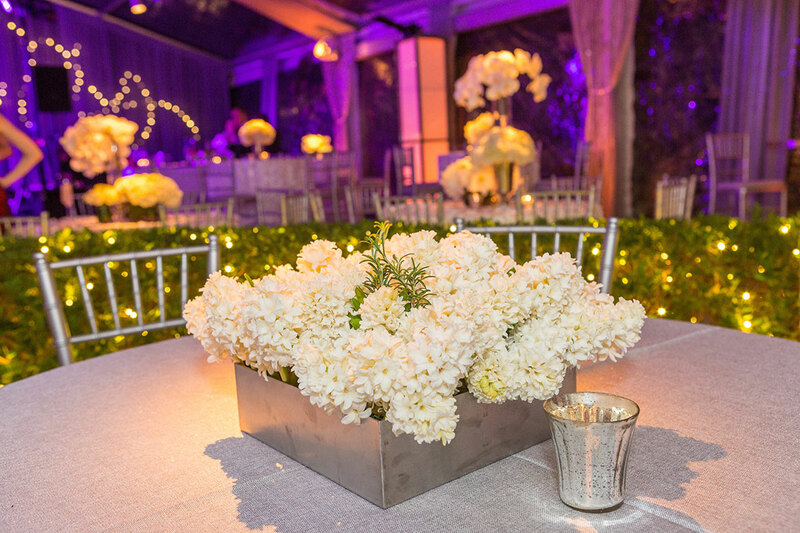 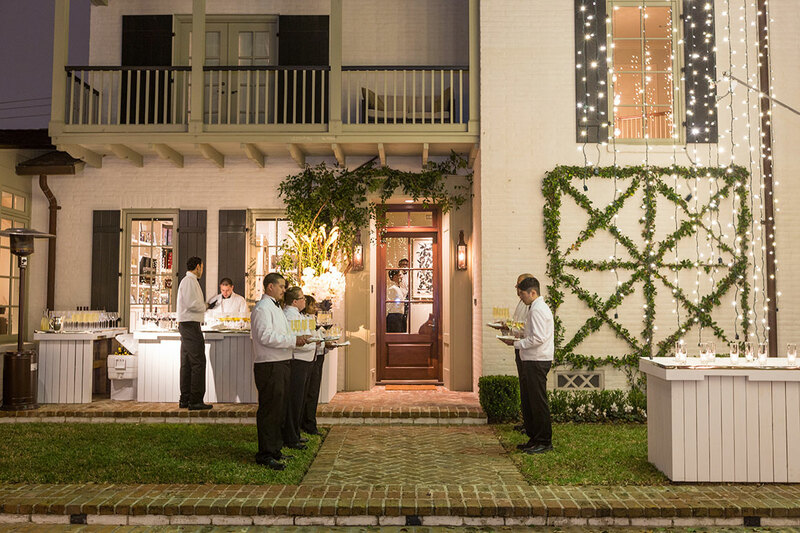 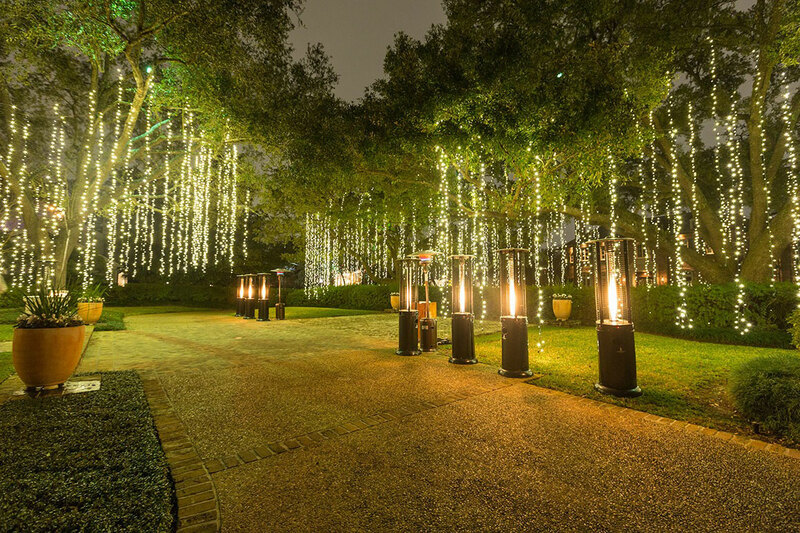 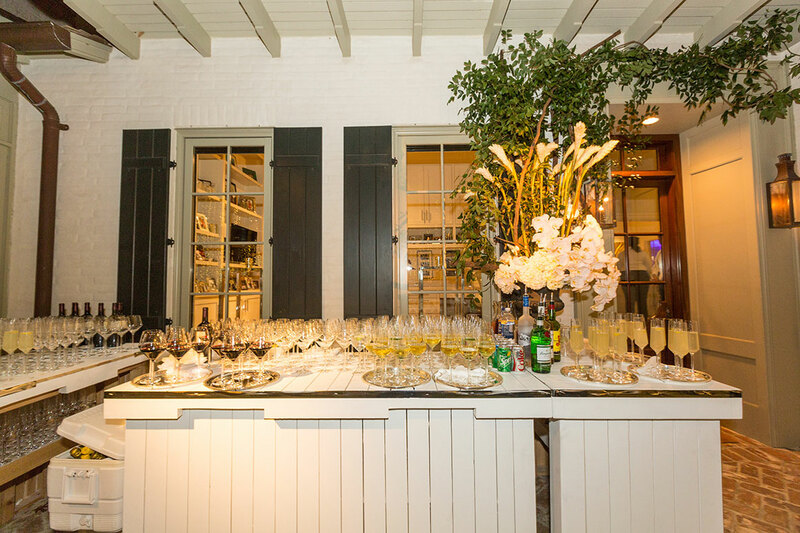 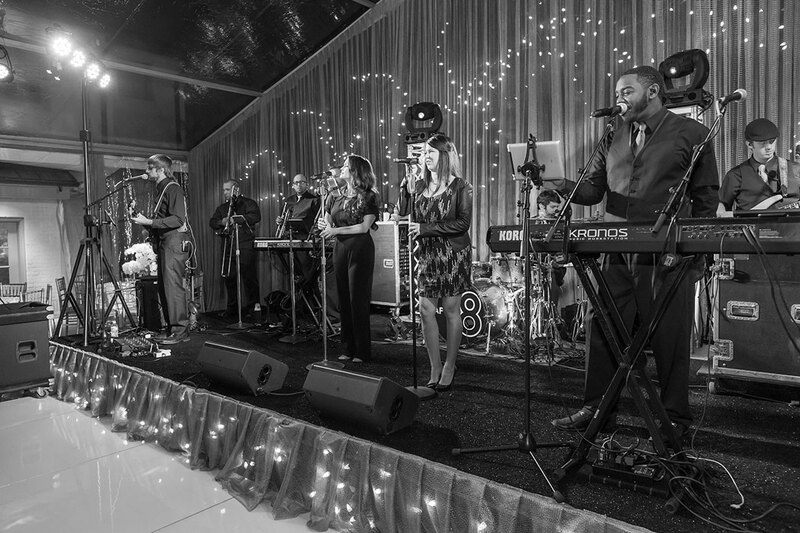 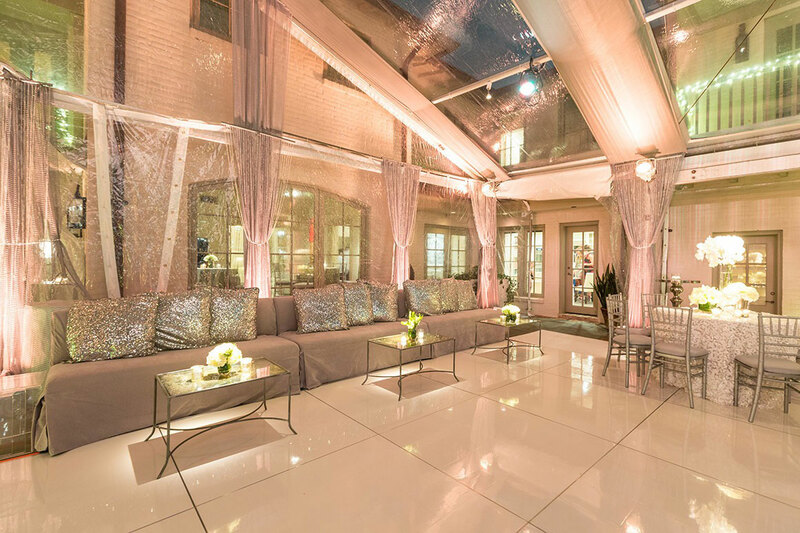 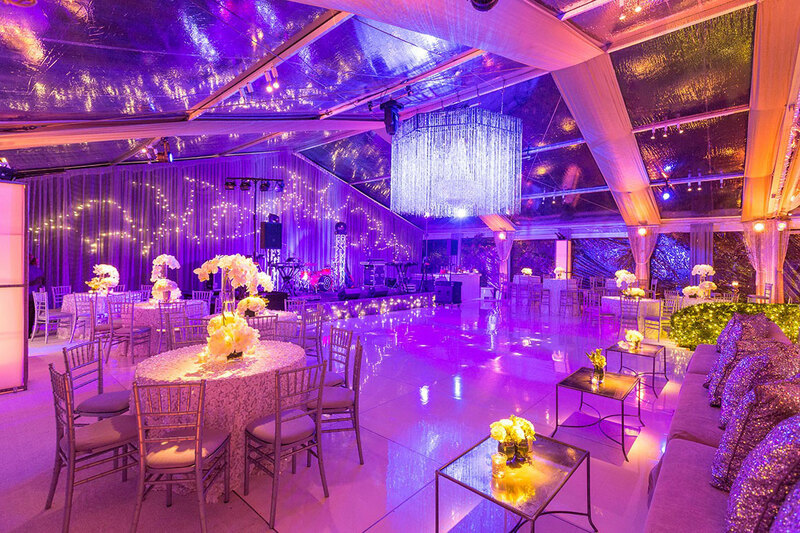 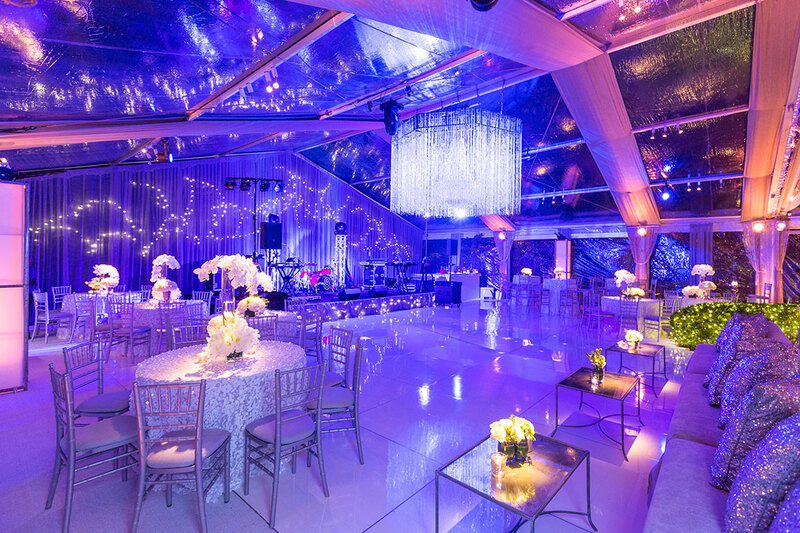 For a New Year’s Eve debutante party at a private home the Swift + Company team set out to create a festive environment worthy of the most anticipated celebration of the year. 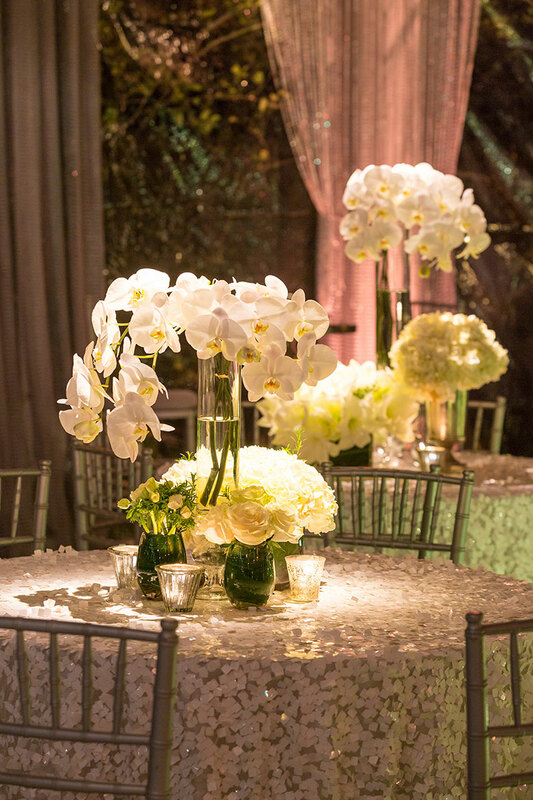 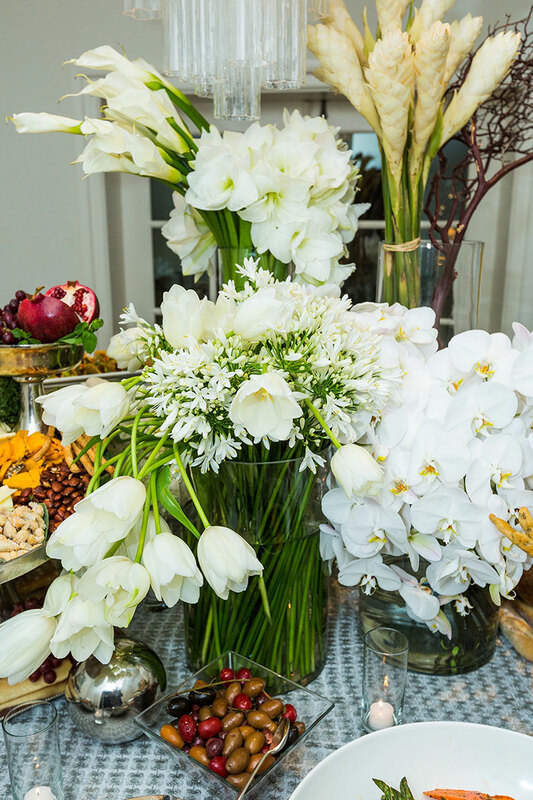 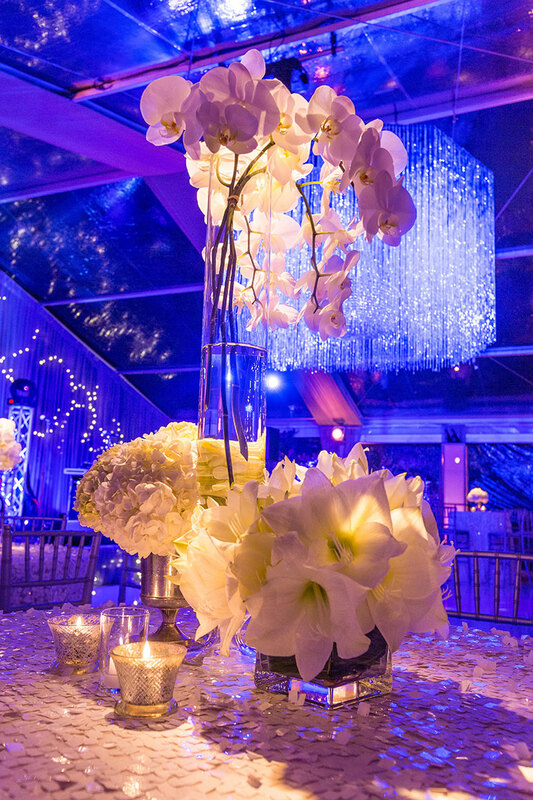 Silver and white balloons covered the ceiling while bunches of all white flowers including orchids and calla lilies overflowed from vases for a decadent and distinct display. 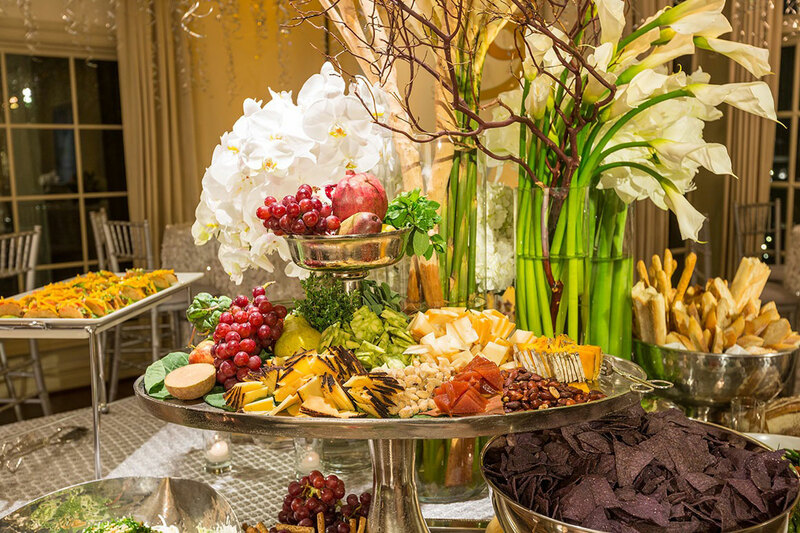 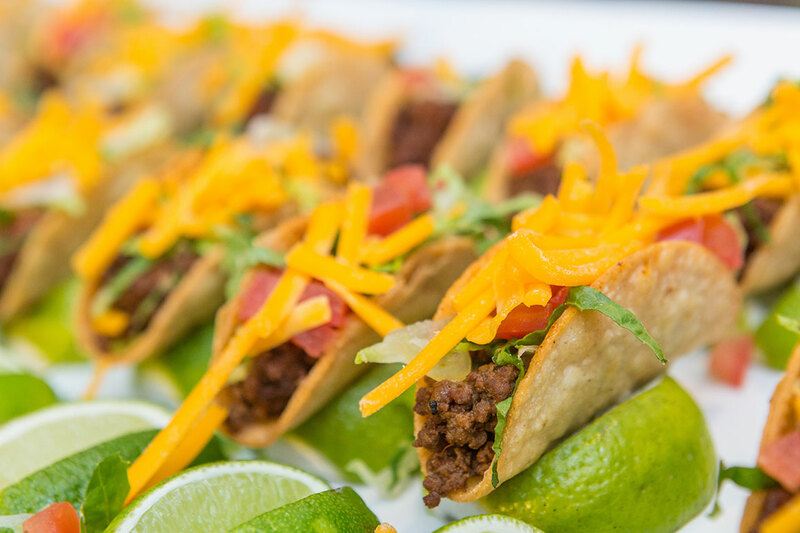 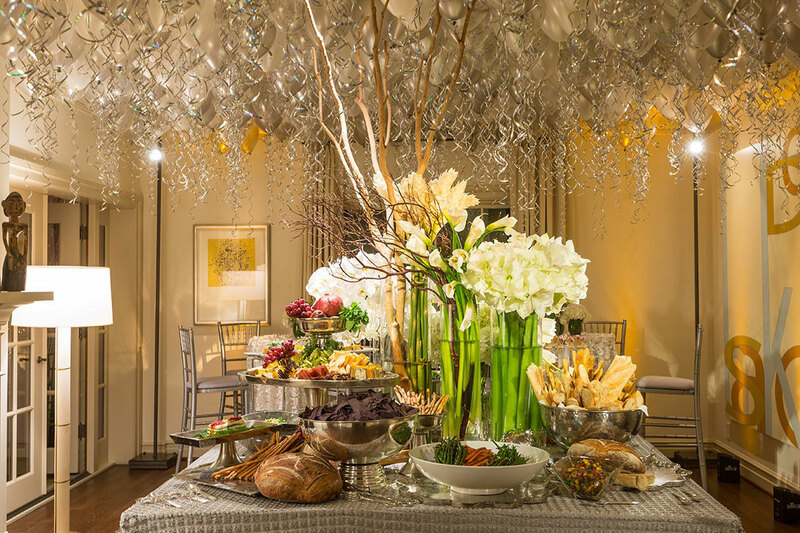 Party-goers indulged in an evolving buffet which began with cheese and crostini and ended with hot chocolate and a cookie bar. 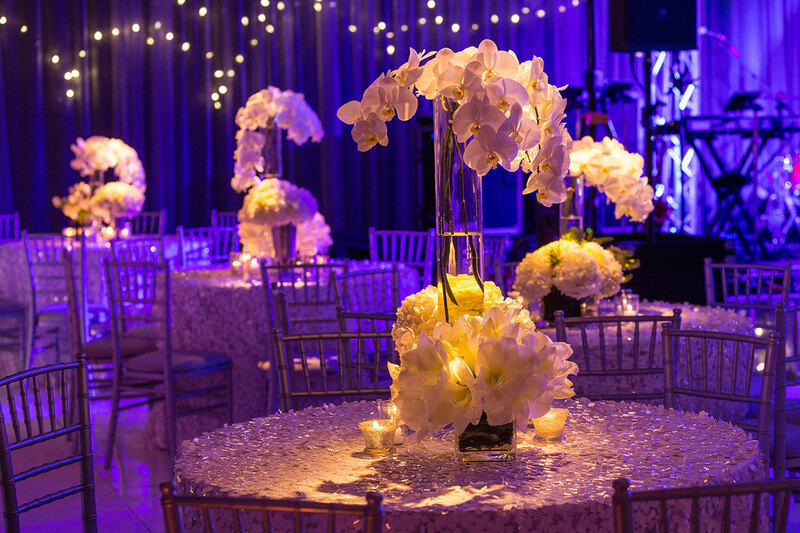 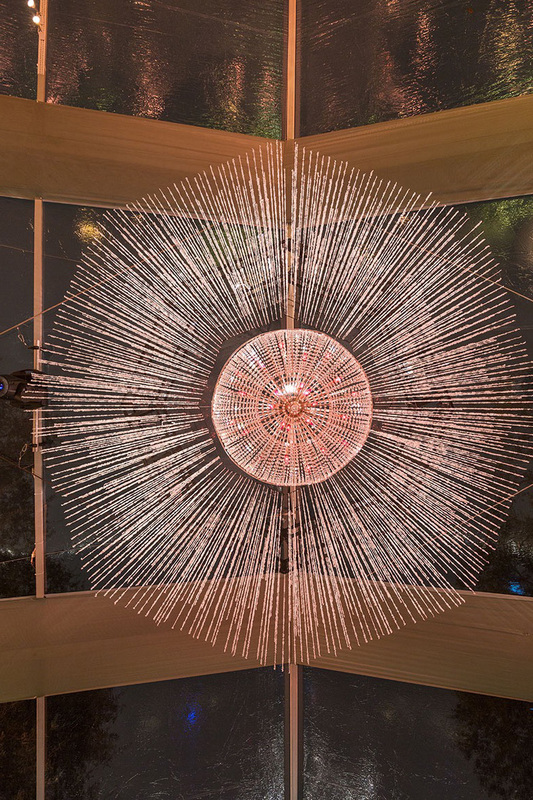 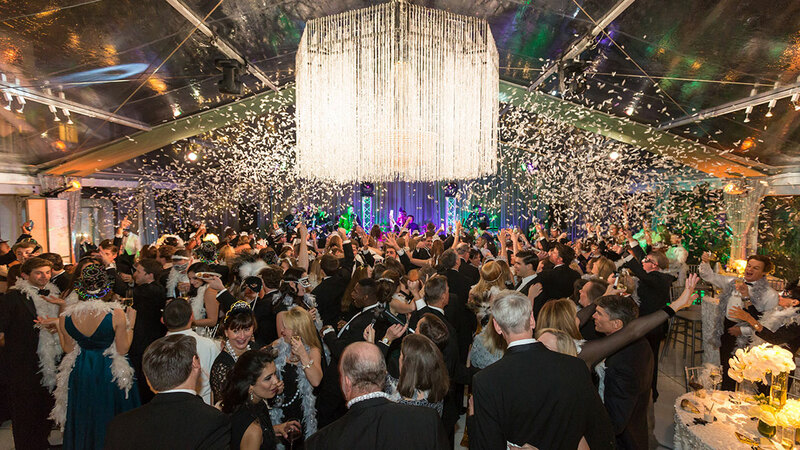 Guests danced the night away beneath a custom-made chandelier and found themselves showered with metallic confetti at the stroke of midnight.